It’s that time of year again. You know, the one season that seems to stretch on forever, which can last from October to sometimes even July. Don’t despair! We’ve gathered more than 60 indoor play outings that are perfect for a rainy day. You can also check out our family fun calendar or our South Sound rainy-day play list for even more ideas for indoor fun! Read on or select a link below to jump directly to that section. In every season but summer, more than 20 Seattle community centers offer baby and toddler indoor play sessions designed for kids ages 5 and younger, complete with balls, trikes, scooters, push bikes and more. Admission is free, but Seattle Parks will require that guests still use a QuickCard, which gets swiped when someone “checks in” for a community center activity. This cafe in northeast Seattle, near University Village, boasts 1,800 square feet of Lego play areas as well as camps, classes and special events. Also find a full espresso bar, hot and cold sandwiches and snacks, beer and wine. And the wifi is solid. Cost for play is $6 for a day; $15 for a month. Birthday party packages are available; check the Facebook page for upcoming events. A reader tipped us off to this spacious, bright, FREE play area for kids ages 0–8 located in a church in Ballard. With slides and climbing equipment, big blocks, imaginative play props and more, it could keep your kid busy for hours. Open Tuesday, Wednesday, Thursday, 10:30 a.m.–1:30 p.m., and first and third Fridays, 5:30–7:30 p.m. Tip: It's also available for party rentals. Located on Ballard's busy 15th Ave corridor, HECA is a cute educational space started by Ballard parents for neighborhood families and their young kids. It has a CedarWorks climbing structure, a train table, a pretend grocery store and ice cream stand, dress-up area and a comfy couch where parents can chill while their kids play. This newer space in White Center offers open play sessions, story times and occasional classes. Bring your own snack or choose from the studio’s small selection. Admission is $10 and it's closed on Saturdays for party rentals. Drop-in care is also offered for $12/hour, $30 to register. Check the Facebook page, too. A spacious play gym (which doubles as a yoga and dance studio) for kids ages 1–5 is equipped with swings, a balance beam, gymnastic rings, tumbling mats and more. Play gym is open 9:30 a.m.–noon Monday through Friday. It also has some after-school programs. Want a taste of the beach? Head to Sandbox Sports' playtime with kids ages 0–5 for a very, very large indoor sandbox, with shovels, pails, trucks — even small slides. $8 per child; one free adult per child (additional adults $8). Mondays, Wednesdays, Thursdays, 9:30–11 a.m., 11:30 a.m.–1 p.m.
Vios — a pair of Greek cafes in North Seattle/Ravenna and Capitol Hill — has reached star status among Seattle parents, featuring super play areas, excellent coffee, snacks and gourmet Greek food. The Ravenna location has the extra benefit of being housed in Third Place Books, but has a smaller play area than Vios on Capitol Hill. Nothing wrong with combining shopping with some wear-em-out time. Northgate's toddler play area at the north end of the mall includes a playhouse, play cars for kids, and an electric piano on the wall. Open during mall hours, and free. The popular PlayHappy Cafe offers not just a play space but a community. It's an 8,500-square-foot play space with free wifi, a cafe/eatery, birthday party rooms, etc. $12 for the first child; $9 for siblings. They also operate classes and preschool. Tip: Check PlayHappy's Facebook page for current events. Take a break from errands for playtime at this free mall play area, conveniently located in the kids' hub of the mall next to Build-A-Bear, the American Girl store, and the Lego store. Also at Alderwood Mall: Take active kids over to REI on (most) weekends, noon to 4 p.m., where they can climb the giant climbing structure inside the store ($5 REI member, $20 non-members, ages 5 and older). Be aware the climbing wall may be closed at times. Pro tip: Lifetime REI membership is $20 so it pays for itself immediately. Run your errands, then stop by the revamped mall play space for kids with animal characters and giant puzzles. It's free. Other fun destinations include Round 1 Bowling and Amusement center, the Lego Store and Safari play space. This indoor play area in Redmond Town Center features soft-play equipment (like WiggleWorks Kids) and is for kids 48 inches in height and under. Cost is $12/child and $10/sibling and you can also get discounts through punch cards and group play. This homey Montessori-inspired play space in downtown Kirkland is welcoming to kids of all abilities, with sensory-friendly hours and a daily schedule that includes everything from parent-child yoga to story times. Drop-in day passes ($25; $15 for siblings) and membership plans available. Note: It's closed Tuesdays. Tip: Roo's World now offers co-working with drop-off child care. 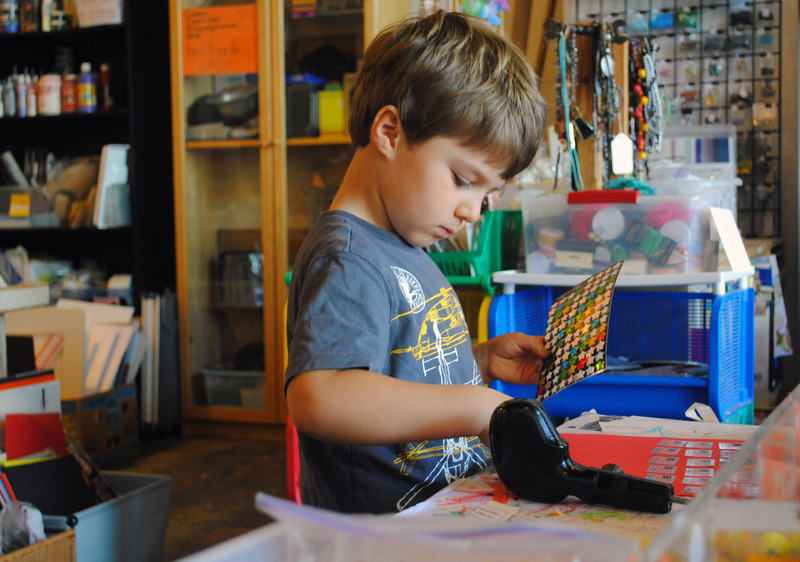 Drop off your kid (ages 2.5–9) at this drop-in, arts-based preschool for up to four hours of daily classes ($12/class), including arts and crafts, music, movement and age-appropriate open play. Check the events calendar for featured daily activities. Hours are 9 a.m.-2 p.m. daily. This drop-in child care center for kids ages 6 weeks to 12 years lets you finish up your daily (or nightly) tasks while your kids enjoy indoor activities such as air hockey, open play, arts and crafts, story time, homework help, STEAM, STEM and more. Check the calendar for upcoming special events and weekly theme nights. WiggleWorks Kids is an indoor, soft-play playground that moves; kids under 48 inches can jump, run, climb, bounce, spin, tumble and slide. It originally opened in Crossroads Bellevue and now it's in Puyallup as well. Check their website for parents night out, special events and party packages. Do some shopping and entertain the kids at Belle Square's tot play area, with a maritime theme. Open during mall hours. Romp is a beautiful, spacious playspace with an extensive list of classes (for toddlers on up to school-age kids) as well as open play time. You can get a membership or buy a day pass (buy online at least a day in advance to save $5). Seattle’s newest indoor trampoline park, Flying Circus Extreme Air Sports, offers 53,000 square feet of trampolines, foam pits and American Ninja Warrior-style obstacle courses. 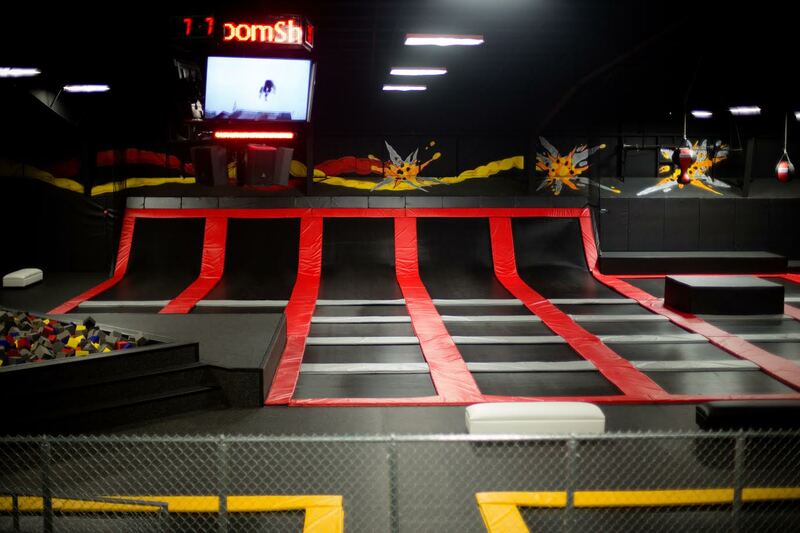 It claims to be the largest indoor trampoline park in the world and is part of a chain of 40 branches. The park utilizes trampolines in creative ways, with areas where jumpers can dunk basketballs, play dodgeball, climb ramps, launch into pits and practice flips or jumps. In addition to trampolines, foam pits serve as landing areas for swings, a zip line, balance beams, obstacle courses, climbing walls and tight ropes. More fun at Westfield Southcenter! This new playspace for kids 52 inches and under makes this mall even more of a destination. Watch your kids play on and around the maze-like climbing gym, which also boasts a swing, ball pit, trampoline and long slide. Get a pass for all day and intersperse play time with shopping, Lego store fun and filling your belly at the likes of Din Tai Fung and 85°C Bakery Café. Located in bustling South Lake Union, PlayDate SEA is a 8,000-square-foot Undersea/Atlantis-themed, multi-level play structure with slides, tubes, tunnels and balancing challenges; and a cafe with a diverse menu. Tip: One admission is free the last Wednesday of every month with donation of two canned goods. Also, free admission after 5 p.m. on Mondays. Seattle's only indoor skatepark offers epic fun for budding or experienced skateboarders. Check the website for its regularly scheduled open skate hours and special 12-and-under hours, as well as beginner skate lessons. Check its Facebook page, too. Now with two locations (Factoria, Alderwood Mall), this play area designed for kids ages 1–10, has a ball blaster area, interactive soft play and a big indoor playground with obstacles and spiral and wave slides. There is a toddler area, too. A big bonus here is their extensive hours, open seven days a week. If you've got kids ages 5 and under, head to the Seattle Gymnastics Academy in Lake City, Ballard or Columbia City for indoor playtime (check schedules). With tons of props to jump off off, a foam pit, and much more, you are guaranteed a huge nap later that day. Tip: Buy a 10-time punch card for cheaper price per session. A reader tipped us off to this jumping spot in Marysville, citing its open area, where "you can spot your kid from almost anywhere." Daily activities include toddler time, dodgeball, slam-dunk basketball, open jumping and more. Located just off 152nd Street on Second Avenue in downtown Burien, this gymnastics center offers Open Gym for ages 1–12 throughout the week and some Kids' Night Out events. Kids can fly down the zip line, bounce on the tumble track and test their skills on the climbing wall. For an additional $4 you can also drop your kid off for up to 2 hours and run some errands (drop-off available for ages 3 and up only)! This well-designed play space for younger kids features an assortment of building block stations, Montessori-inspired imaginative play options and magnetic toys, plus a two-level jungle gym, and slides that descend into an irresistible ball pit. Though it's pricier than many alternatives, perks include that you pay once and can play all day (or return); punch cards are also available for discounted play. There is also an infant area. Stay tuned for the cafe they plan to add! This 3,000-square-foot play space, for kids 55 inches and shorter, boasts a great combo of padded, mechanical climbing structures, fan-propelled balloons, and multi-level jungle gym labyrinths (and ball cannons). Plus there's an upper level with couches where parents can use wifi and keep an eye on their kids. Trampolines, a giant kids' play structure and cafe with free wi-fi. Deal tip: They have a "Hoppy Hour" special from 10 a.m.–12:30 p.m., Monday through Friday. Pump it Up was founded on great birthday parties, but has fun drop-in options as well. Pre-K Open Jump playtimes vary by location, but typically take place on several weekday mornings. Kids can bounce the day away at one of Arena Sports Indoor Inflatable Fun Zones; the new Mill Creek facility (which also has an arcade and laser tag) has the most expansive hours. Tip: Buy an annual membership for cheaper per-session prices. A large play area and some weekday drop-in times (currently, Tuesday, Wednesday and Thursday) make this a popular destination for Eastside kids ages 2–10. This 23,000-square-foot trampoline facility boasts 60 trampolines, including angled wall trampolines, launching decks and activities for various ages. Check out the Kids' Jump for ages 6 and younger from 9–10 a.m. Monday–Saturday; there are also family nights, extreme dodgeball, a ninja obstacle course and more. This fun, clean jumping environment for kids also boasts a mezzanine area for those watching the fun, with comfy seating and free wifi. Open daily and until late. Note: Also check out this great list of destination public libraries. This science enrichment center just across from PCC Green Lake offers hands-on, inventive science classes with no tech in site, for kids ages 2–12. Classes are 75 minutes long for kids ages 3 and older and 60 minutes for 2-year-olds (for kids ages 3 and older, parents can drop off). Sign up online; you can also sign up for a free trial class. This crafty studio and retail space, focused on creative reuse, is in the heart of Seattle's hopping Greenwood neighborhood. Find paint and play classes in the morning, a Saturday Skill Share and family classes such as woodworking. Every Tuesday at 10 a.m., U Village hosts free story time and activities. Stop by its covered playspace for some playtime afterwards. A program of Child Care Resources, Kaleidoscope Play & Learn programs are FREE organized play sessions around the Sound where young kids (ages 0–5) and their caretakers take part in play activities that support children’s early learning, meet new friends, and hear more about other early learning and family support programs in their neighborhood. Check out the groups here. Not only does KCLS host great programs for tots such as music, stories, puppet shows, but its branches also have an amazing number of programs for older kids and teens; everything from chocolate making and stop-motion workshops to knitting clubs and multiplayer Minecraft sessions. Seattle Public Library branches host plenty of kids story times and events all over Seattle. Baby, Toddler, and even Pajama story times are sure to entertain young ones, and special events and chess and LEGO clubs are available for the older set. Check the online calendar for all children's events, or narrow it down to the location nearest you. The Central Library is worth a special trip. Explore endless stacks, take in the view from the top floor or relax during a story time. There's much to love; even if you are just climbing the stairs to the top. Glazed & Amazed in Edmonds, Paint the Town at University Village or Paint Away! in Redmond. Skip the rainy-day boredom and try your hand at painting your own pottery with your little one. Check the calendar and monthly promotions for daily discounts and family-friendly activities. 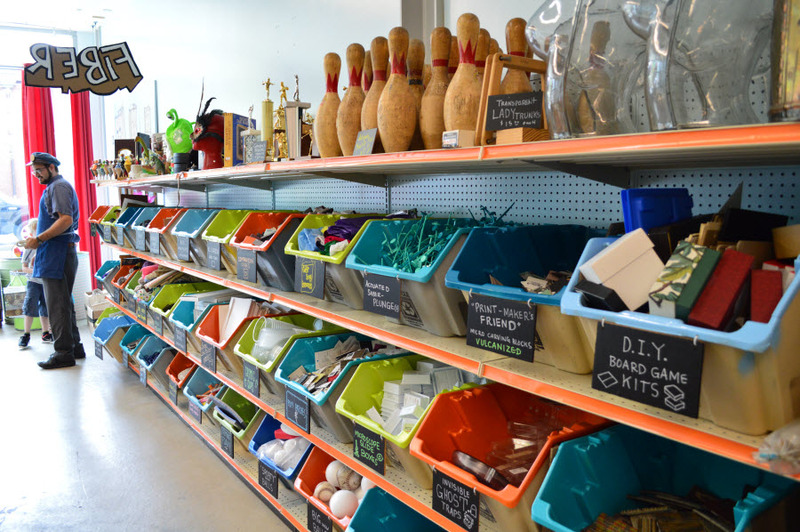 With literally thousands of supplies at the ready, gathered by the creative reuse specialists who founded Tinkertopia, we defy you to come up with a project you can't bring to execution. They also offer classes and workshops and drop-in "Tinker Time" on weekdays. Note: See also our list of indoor pools in the Seattle area. Opened in September 2016, Tacoma's newest pool boasts a great price tag ($3–$4, kids 4 and under free) and lots of features kids will love, including stair-step access to a shallow swimming area and submerged bench, a toddler-friendly spraypad, floating pads, basketball hoops and family-changing areas. Built on the premises of the old school pool at this school-turned-resort-complex, this community pool is almost Olympic-sized, and its non-chlorinated water is heated to 90 degrees (it uses a saltwater system). As part of McMenamins' partnership with the city, Bothell residents can use the pool free of charge (bring ID). Look for open swim times every day of the week. This destination pool in Rainier Beach, next to the new community center, boasts a lazy river, a corkscrew/water slide, lap pool, a hot tub spa/warm water area, a slide and rope swing. With a spa/warm water area, a slide and rope swing, this is one of Seattle's most popular pools. Check the schedule for family and tot swim times. Both pools are warm, and have toddler-friendly lazy rivers, hot tubs and more fun features. And if you just want a short swim (perfect for toddlers) you can take advantage of Mountlake Terrace's "Happy Hour" swims. This newish aquatics center is another popular destination, with lazy river, warm-water pool (102 degrees), spray area, zero-depth area for tots, corkscrew slide and the only surf-simulation machine in the region. This pool has both a lap pool and a leisure pool. The leisure pool sports a two-story water slide with banked turns plus an interactive play structure with water sprays and a smaller slide for the younger set. Is a pool worth a ferry ride? Yes! Find a water slide, lazy river ride, tot pool and play area. SANCA offers Single Serving Circus classes for those who "wanna join the circus, but [are] afraid of commitment." The Intro to Circus class are offered on weekends (ages 6 and up), and many other classes during the week. Make sure to reserve a space: Classes with low enrollment 48 hours prior may be canceled. They also offer session classes for ages 2 and up. Grab a day pass to this climbing gym for some low-height bouldering (which covers most of the space), or sign up for a class for kids ages 6 and older. Rock climbing shoes are required for climbing, and sizes available for rental generally start at kids' size 10 and up. Public skating seven days a week, skate aids for toddlers, and "cheapskate" sessions with discounted prices on Wednesday nights; plus kids under age 4 are free. Hit the ice seven days a week! Check out the family skate specials and the calendar for special family-friendly events. Bowling, roller skating, arcade games, nostalgia. Make sure to book a lane before you go and check the schedule for open skate times. Got a speed racer on your hands? Children ages 8 and up will love taking a couple spins around the go-kart track with their friends or daring mama. SyKart features a basic driving school course each weekend and a junior racing program for the kids who are more comfortable operating (and racing) a go-kart. Retro-cool colors, good interior design and recycled flooring bump these lanes up to luxe. And in the summer take advantage of the kidsbowlfree.com program for lots of bowling gratis! These mini amusement parks aren't cheap but they do have everything, from mini golf to laser tag, go-karts, bumper cars, batting cages, video games and more. (Tip: Outdoor attractions are open year-round but may be closed during inclement weather, so call or check the website before you head out.) Some of the video games are for older kids so check it out before they play. A trip to the flagship Seattle store in the International District can be a cheap date or an all-out rainy day shopping trip. Snack on bubble tea and noodles; browse manga and Hello Kitty! doodads; and wander aisles stocked with a staggering selection of fruits, vegetables and snacks from Japan and other Asian countries. The fun at Full Tilt starts with the unique flavors (Thai Iced Tea, Vegan Mango Chili Sorbet) but it's really about the vintage arcade, pinball machines and good music. Drop by the quiet game shop on the top of Queen Anne any time during open hours and play a game or two (or three) from its extensive game library for all ages. Other great game outings include Meeples Games (West Seattle), Uncle’s Games (Bellevue, Redmond, Tacoma) or Card Kingdom (Ballard), with Cafe Mox next door. So many reasons to go to the zoo on rainy days, starting with fewer crowds. Also, download the zoo's mobile app to access the rainy-day tour, making it easy to hit all of the zoo’s indoor exhibits if it pours. And of course, play in the indoor Zoomazium. Find mini-shopping carts for kids to push, fresh tortillas to taste, live crabs and other seafood to see, a traveling tractor to climb on, and super-nice cashiers with stamps on hand for fretting toddlers. Plus, of course, an amazing selection of relatively well-priced ethnic goodies, as well as all the staples. Don't let the rain stop you from learning all about nature. The visitor center has interactive environmental education displays and games, like park ranger dress-up gear, animal pelts and foot molds, nature books, species identification cards and more. Note: Days and hours are limited. Take your kids to see how all that rain becomes our drinking water. Interactive exhibits are set up to explain and entertain, plus, family-friendly programs and tours are scheduled frequently. Tip: look for the "center-based" symbol and avoid the "walking and hiking" symbol to ensure you will stay nice and dry inside. Note: Also see our list of museums with play spaces. An hour or so north of Seattle, this museum located in the Cascade Mall just got a makeover, with 5,000 square feet added that includes a climbing structure, model train and more interactive stations. Tour historic aircraft at the new Aviation Pavilion and play airport in small kids' play area in the pavilion. Don't miss the awesome Space Shuttle Trainer exhibit and many other cool exhibits; and be sure to hit up the amazing volunteer docents with any questions (and a VR tour). Free the first Thursday of the month, from 5–9 p.m. Since its move to a fab new location in South Lake Union, MOHAI has become one of the hottest family destinations in Seattle, with hands-on, interactive history exhibits, and more. Kids 14 and under always free and everyone is free first Thursdays, 10 a.m.–8 p.m.
You don't have to buy admission to make art at the Chase Open Studio, located along the grand staircase between the First Avenue and University Street entrance and 2nd Avenue. In the museum itself, the Knudsen Family Room on the third floor offers art-making and play. Kids ages 12 and under are free every day. Seals, tide pools, octopus-feeding, starfish-touching: The Aquarium is incredibly dependable as a source of indoor fun and learning for babies and older kids alike. From September-February, the aquarium hosts Toddler Times, free with admission, where families can play and learn together (see schedule for select dates). When the cloud cover is thick, there’s nothing like getting an eyeful of the starry night sky in the Willard Planetarium. There's also a roster of ever-changing interactive exhibits, fun science shows aimed at kids, an IMAX theater and much more. So much to do! Create art at the Imagination Studio, climb a mountain and look out for Flora and Fauna, play firefighter or school-bus driver, build something, get your eyes checked and explore many other engaging play exhibits. Tip: Admission is $5 for the last hour of each day. There is a ton to see at MoPop, such as exhibits on science fiction and Star Trek, but Sound Lab is an especially fun way for for kids to play musician. Hip exhibits on science fiction, pop art and music will engage older kids. Free all the time, the Frye has excellent exhibits, a Small Frye story time the first Friday of every month, led by Seattle Children's Theatre actors, and other family activities. Wander through a hands-on exhibit that traces Washington state’s past natural history and check out the “oh wow” mastodon skeleton. First Thursdays are free and most weekends feature family activities. Check the events calendar. Seattle tip! 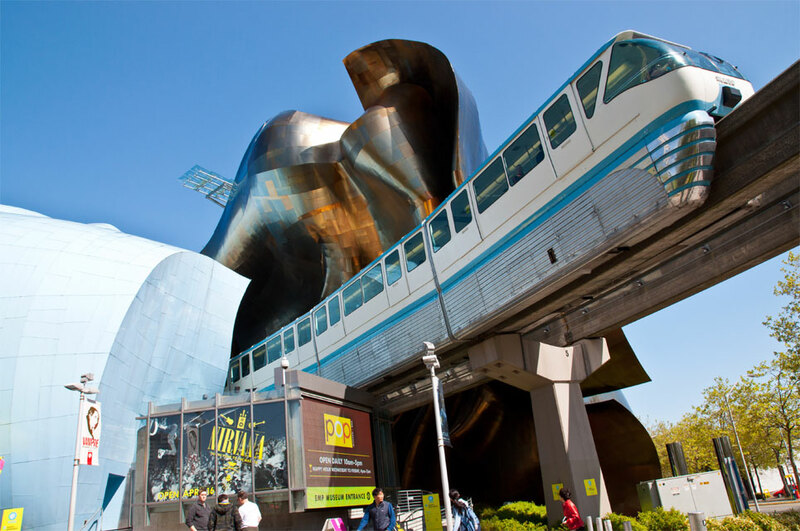 Use your Seattle Public Libraries card to reserve free admission for participating museums like MoPop and the Burke Museum. This small museum, just the right size for exploring with kiddos, focuses on arts and crafts and design. Find several kid stations throughout the museum, and plenty of monthly events including craft activities, demonstrations, free family days, free student days and teen workshops. Now in its new home in downtown Bellevue, KidsQuest remains an Eastside favorite, with terrific hands-on play opportunities and a water play area, a tool area and much more. In the museum’s small-scale wildlife clinic, your future vet can care for “wild” stuffed animals, remove them from realistic looking kennels, and other cool doctor-type stuff. Among other things, there is also an art studio and a terrific water exhibit. There is free admission the third Friday evening of every month. 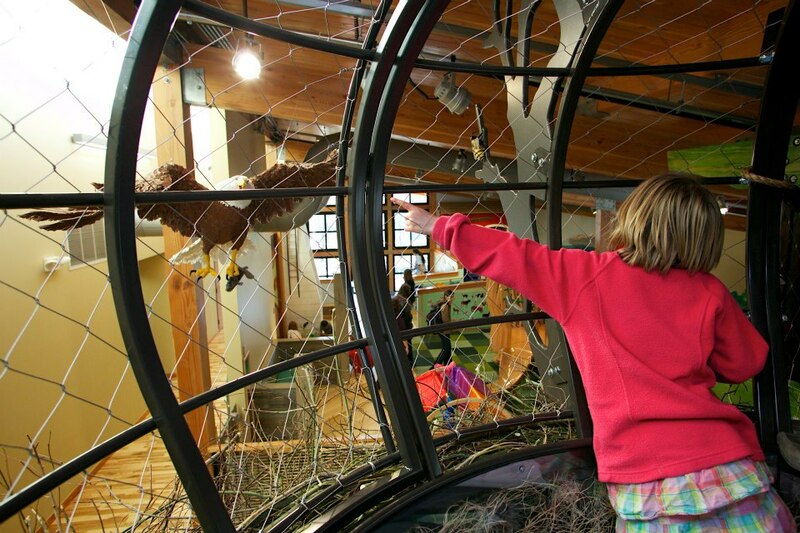 Just a ferry ride and short walk from Seattle, Kids Discovery Museum offers a variety of hands-on learning exhibits, including the pirate tree house, art studio and science hall. Open daily, KiDiMu also offers summer camps and monthly family-friendly events. And it's just a short walk from the ferry landing. Right next door, find the Bainbridge Island Museum of Art, with kid-friendly exhibits and free admission. Tigers and otters and penguins, oh my! Skip the rain and spend the day with your favorite zoo critters. Be sure to check out the new Pacific Seas Aquarium within the zoo which is home to 4 hammerhead sharks! Browse the website for a variety of kid and family weekly programs, including Critter Club, designed for tots ages 3–5. Tacoma's kids' museum has a warm and modern home, creative playspaces and an attractive pricing policy -- pay as you can on any day. It also has an intriguing new partnership with Tacoma Art Museum, where visitors to the Children's Museum can get free family passes to visit TAM. Drop in for some hands-on learning fun, a kid-friendly cafe with healthy eats and five main play exhibits for various age groups. Discovery Village also offers weekly events, including story and art times. Located in a huge space on Olympia's East Bay waterfront that holds true to its Olympia roots, Hands On Children's Museum is the largest children’s museum in the Pacific Northwest, with eight galleries and more than 150 exhibits, plus a state-of-the art outdoor exhibit. First Friday of the month is free admission from 5–9 p.m.
Editor's note: This article was originally published in 2011 and has been updated every year since, most recently in October 2018.